For those who traditionally learned about anatomy outside medical school, figuring out what the human brain looks like inside the skull was largely a textbook exercise. Diagrams with arrows and text descriptions acted as a roadmap with student absorption largely reliant on memorization. In the age of the Internet and Instagram, it’s a model that educators may need to improve on if they are to meet students’ interactive learning expectations, says UBC Assoc. Prof. Bruce Mathieson. With visuals in mind, Mathieson has been working on bringing textbook learning to the computer screen. 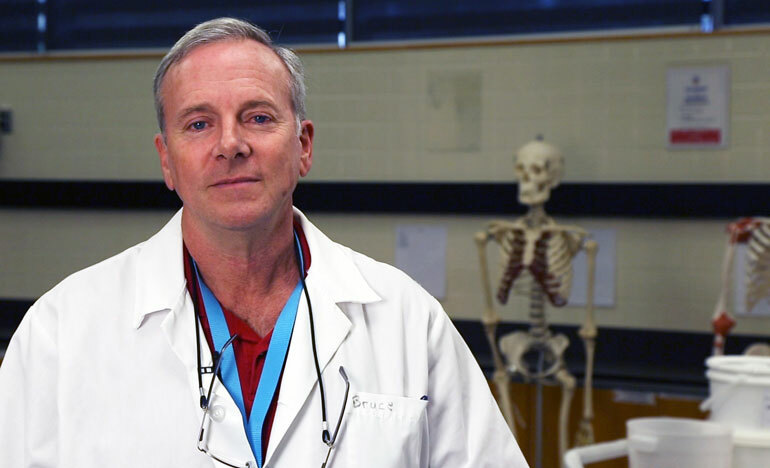 In addition to creating seven videos detailing a dissection of the human brain, he received a $9,750 Curriculum Innovation Award to hire a programmer and create a tool that allows students to virtually navigate the brain on their laptops. Mathieson completed the tool last month, which he refers to as a first step into a more distributed model of learning. For their part, Mathieson’s students say that the interactive learning tools help with their studies. Technology is playing an increasingly important role in today’s educational environment, says Michelle Lamberson, UBC’s Director of Flexible Learning and Special Projects. “With today’s rate of information turnover, memorizing and repeating information is a bit of an outdated model,” says Lamberson. “Faculty can use technology to structure content in innovative ways that encourages students to explore and better own their learning process. At UBC Okanagan, encouraging new and innovative ways for teaching and learning is a priority. This year, the campus unveiled its Aspire Learning and Teaching Fund that provides faculty with up to $50,000 for new and innovative projects. UBC Okanagan’s Bruce Mathieson has created an interactive technology tool to help his students map the brain.